As part of the greater Evansville area, Princeton not only offers ample employment opportunities, but it is a city that is focused on its people and offers residents the perfect place to settle down and raise a family and is a community where people can make lifelong friendships. In fact, the people of Princeton are the driving force behind every decision that is made here. It is no wonder that our motto is “Building Futures, Raising Families.” While many people have found Princeton to be the ideal location to live out their lives, so have many species of pests. Mice, termites, cockroaches, mosquitoes, bed bugs and others have chosen Princeton to raise their families in also which poses a significant risk to the safety of Princeton properties and the health of our citizens; but don’t worry. There is a solution, and it begins with the expert year-round pest protection offered by Action Pest Control for Princeton home and business owners. Our residential and commercial pest protection plans are safe, effective ways to keep pests from infiltrating your Princeton home or business and are the perfect way to keep your property, your families, and your clientele safe from the harmful effects of pests. To learn more about our industry-leading pest solutions, give us a call today. When it comes to termites, being proactive is the name of the game. Termites are elusive, sneaky little pests that can creep into your home unnoticed and cause significant structural damages deep inside your walls and under your floors. The very first sign of their presence is typically when a homeowner notices the damages that termites cause such as sagging ceilings, buckling walls, or uneven floors as their supports have been eaten right out from under them. By this time, the repairs needed are extensive, and you may be housing termite colonies numbering in the six digits. Truly, the best way to avoid all of these consequences is by keeping termites from choosing your Princeton home in the first place making effective termite monitoring and control solutions a must. Action Pest Control can help. Our termite experts are authorized users of the Sentricon® System with Always Active™ which is the safest, most eco-friendly, non-invasive way to eliminate termite colonies. They also utilize Termidor® with its unique “Transfer Effect”. Once termites touch or ingest Termidor® the slow-acting formula begins to work to eliminate them, but not before they deliver a lethal dose to every termite that they come in contact with. Termidor® cannot be detected by termites, so they are unaware of the danger and freely move about the colony allowing this transfer. In the end, the entire population is eliminated. To learn more about Termidor®, Sentricon® with Always Active™, or to schedule your free inspection, simply contact us today. Rodents such as mice and rats are dangerous creatures when they invade your Princeton home. Not only can they damage your personal belongings, but they can also cause significant damage to wood, pipes, insulation, and wires. They have even been known to spark a fire by chewing on live wires inside walls! And there’s more. Rodents are responsible for carrying and transmitting several serious illnesses to people including hantavirus, leptospirosis, and other diseases. They also contaminate areas throughout your home with their urine and feces and can render food stored in your cupboards unusable. One of the reasons why mice find it easy to access your home is because they can collapse their body to fit through a space the width of a pencil which means keeping them out of your Princeton home can be quite a chore. There are some things that you can do to discourage rodents like keeping trash in receptacles with tightly fitting lids, keeping clutter to a minimum around your home, and sealing all entry points smaller than a dime; but even with this, rodents still seem to find their way in. This is why so many of your friends and neighbors have turned to the trusted team of rodent experts at Action Pest Control for help. We have designed our rodent control services to quickly and safely eliminate rodents and the threats that they pose. 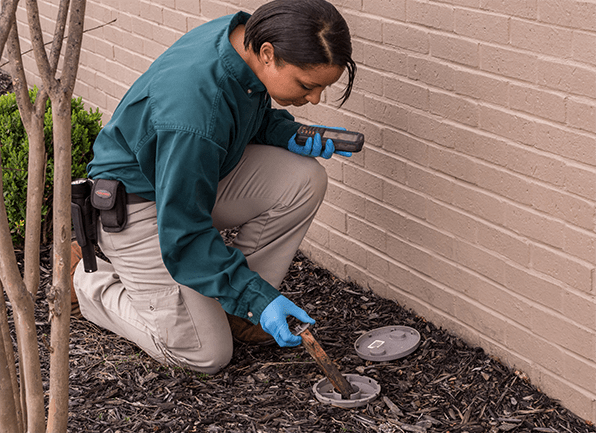 Our rodent control experts will utilize the TermaPest® System which is a five-step program that not only targets rodents, but also targets many other household pests. When this service is combined with pest exclusion techniques, rodents will not only be eliminated from your home, but their access points and areas around your property that are drawing rodents in will be eliminated as well. Rodents can also be effectively controlled with one of our year-round pest control programs. To learn more about our effective rodent control programs or to schedule your free inspection, contact us today. Protecting your Princeton home from the dangers that unwanted pests pose is a full-time job. Knowing which products work and are safe for use around people and pets takes a lot of education, and knowing how to use the habits and habitats of pests against them takes training. The time involved in safely eliminating pests from your home can be extensive, and the task often seems daunting which is why so many of your friends and neighbors have turned to the trusted experts at Action Pest Control for help. We have specifically designed our comprehensive pest control programs to meet the specific needs of your home. With four levels of service to choose from, your pest pressures can be met with exacting standards and effective results. Whether you choose our Essential, Advanced, Complete, or the all-inclusive Premier residential pest protection program, you can know that they are all effective at eliminating their targeted pests and are backed by the Action Pest Control name and our pest-free pledge. To learn more about our industry-leading home pest protection products, simply give us a call today. There are many reasons why so many have chosen Action Pest Control for their pest protection solutions in Indiana and throughout the Midwest. One of those reasons is our fast, friendly service. With over 70 highly trained, state certified professionals and our on-staff entomologists, we can offer timely services for your pest pressures including our guaranteed 24-hour emergency service response. When you couple this with our written safety program, convenient billing, online payment options, and our dedication to clear and concise communication it is easy to see why Action Pest Control is the right choice. Another reason why Princeton residents have chosen Action Pest Control is because they know that we are QualityPro and QualityPro Green certified which means that you are receiving the very best care that the pest control industry has to offer; but the most important reason for you to choose Action Pest Control to solve your pest pressures is our dedication to serving our clients and our community with safe, effective, environmentally friendly pest control solutions that work. Every time!